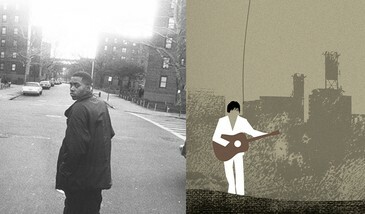 One of our favourite festivals, The Calgary International Film Festival, is just around the corner and we couldn't be happier to be co-presenting two documentary screenings with them: Time Is Illmatic and Heaven Adores You. What can we say? We're suckers for music docs! The proverbial cherry on top? We've got coupon codes for you! Simply enter Sleddin14 at checkout so that you've got a little more money to spend on snacks! Time Is Illmatic offers a unique and energetic look into the creative processes of Nas in the making of his landmark debut hip hop album. Heaven Adores You, on the other hand, offers a visually and sonically striking portrait of Elliott Smith, an artist who struggled profoundly with fame and depression. CIFF runs September 18-28 and features myriad choices for film buffs including new films by Alejandro Jodorowsky, David Cronenberg and Jean-Pierre Jeunet. Passes and individual tickets are on sale now! First up, we're extremely proud to be presenting a showcase at the festival with some Sled Island alumni, including one of the best Calgary live bands going! 09-19: Sled Island Presents: Kurvi Tasch, Krill, Brazilian Money, 36? and Loc-Nar @ Casa Del Popolo. The new art-rock sensation Ought that we can't wait to see live and the inimitable Carla Bozulich (currently on the road with Swans). What's not to like? Beat Cops is the new project from Mikey Heppner (UBT, Priestess) and though there's only a few songs floatin' around out there, they've ALL been stuck in our heads for weeks. ​This show is what POP Montreal is all about. Watch this video and go see Turquoise Jeep! Their name may not ring a bell but you sure know this song. 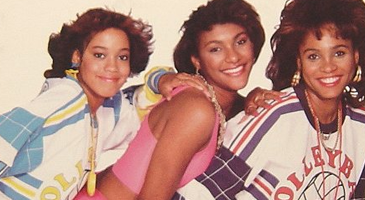 ​Don't miss ​these pioneers of female hip hop. They will also give an artist talk at the POP Quarters earlier in the afternoon. Some of our favourite Montreal bands opening for a founding member of The Shaggs. We wanted these folks at Sled Island 2014, so it's about time for us to finally have our ears and minds melted by 'em, no? - Wilensky's special, an all-beef salami/balogna sandwich with mustard on a grilled roll. - twiced-cook pork from Cuisine Szechuan. And some veggie dishes too. - Chicken roti w/ pumpkin at Jardin Du Cari. Make sure to douse it in that special lime-hot sauce. - Boustan chicken shawarma (post 2am only). Sure, Mr. Boustan might've retired, but it's seriously still the greatest. Far better than Calgary shawarma! - that's a lot of meat options, so why not a coconut bacon-featuring BLT from Aux Vivres? - sure, they're touristy things to do, but Fairmount Bagel/St-Viateur Bagel and Schwartz smoked meat really are that good. Trust us. We miss them. - and if you've got more time on your hands (and cash?) than these quickies, anything from the Joe Beef/Liverpool House/Vin Papillon folks or Au Pied De Cochon is going to make you a very, very happy festival-goer (with a food coma that is unlikely to allow you to actually take in music). ...really, there's not enough space for all of the recommendations. If ever there was any doubt how much POP Montreal respects music as much as we do, the proof is just in the number of bands playing this year who have played Sled in the past. A small sample includes: The Backhomes, Black Atlass, Dan Deacon, Dories, Eamon McGrath, Economics, Freak Heat Waves, Girl Arm, Heaven For Real, Homeshake, Indian Handcrafts, Johnny De Courcy, Jom Comyn, MaicaMia, Monomyth, The Nymphets, Old + Weird, PS I Love You, Le Revelateur, Slow Down Molasses, Solids, Soupcans, Strange Attractor, Technical Kidman, Timber Timbre, and UN! It's going to be a blast, y'all!